Dianne M. Nast, founder of the Philadelphia law firm NastLaw LLC, has been appointed by New York Federal Judge Jesse M. Furman to the Executive Committee in the General Motors Ignition Switch Litigation. After a highly competitive process, with over 50 applicants presenting their credentials, Nast is one of just 10 appointed Executive Committee members. Ms. Nast and NastLaw LLC will be at the forefront of the lawsuits that impact millions of American’s physical and financial wellbeing. 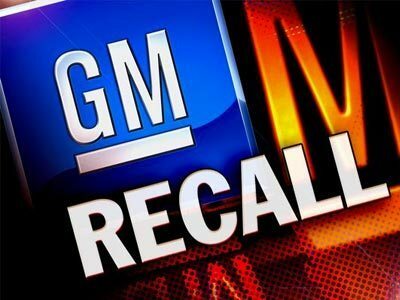 The lawsuits allege that General Motors knowingly covered up a serious ignition switch defect for more than a decade, causing numerous crashes and fatalities, putting millions of drivers and their families at risk, and causing economic loss to owners of the vehicles. Since June 2014, General Motors has recalled nearly 13 million vehicles for defective ignition switches – a serious defect that can cause the vehicle to turn off while it is being driven, disabling power steering, brakes, and vehicle airbags. Ms. Nast and the attorneys at NastLaw LLC have consulted with many hundreds of individuals who have experienced the defect firsthand. Many drivers have been involved in serious and, in some instances, fatal accidents. Countless others have been forced to choose between driving a dangerous vehicle and suffering economic losses while enduring the lengthy wait for General Motors to repair their vehicles. Just a few weeks ago, Ms. Nast was named by Judge Matthew F. Kennelly to the Plaintiffs Steering Committee in the national Prescription Testosterone Litigation. She was also recently appointed to the national Lipitor Plaintiffs’ Committee. Ms. Nast serves as Co-Lead Counsel in the Zoloft SSRI Birth Defect Litigation, Co-Lead Counsel and Federal-State Liaison and on the Advisory Committee in the Avandia Product Liability Litigation, and is an active Steering Committee member in the Philadelphia-based NFL Concussion Litigation, where she serves as SubClass Counsel for injured players. Antitrust law is also a major focus for Ms. Nast. She currently serves as a member of the Executive Committee in multiple antitrust cases, including In re: Effexor XR Antitrust Litigation, Modafinil Antitrust Litigation, and Mediation Counsel in Skelaxin Antitrust Litigation. She is also Lead Counsel in the Wellbutrin SR litigation. For nineteen years, Ms. Nast was a shareholder, officer and director of the Philadelphia law firm of Kohn, Nast & Graf, P.C., founded by Harold E. Kohn, a legend of the anti-trust and class action bar. When her five children were young, she lived and worked out of Lancaster, Pennsylvania, continuing her national mass tort and antitrust practice. In 2012, Ms. Nast founded NastLaw LLC in Philadelphia, positioning her firm in a hub of civil litigation in America. NastLaw LLC is located at 1101 Market Street, Suite 2801, Philadelphia, Pennsylvania 19107. NastLaw LLC focuses its practice in antitrust and mass tort law, including pharmaceutical product liability, medical device product liability, price fixing and other wrongful business practices.